Christmas came early!!! If you're looking to move in & unpack then this is the home for you! Remodeled like an HGTV show~details will delight you! 3 BDRM, 2 FULL BATH "embankment" style Colonial with large family rm addition is a beauty! Gorgeous NEW kitchen cabinets, white/gray quartz counters, subway tile back splash, center island, ss appl., soft close drawers & hardwood flooring thruout! Kitchen area also features a wood burning fireplace w new flu & reinstall of chimney cap! NEW GAF Timberline Architectural Asphalt shingles(lifetime warrantee), NEW plumbing, NEW flooring, NEWER heating system(2012), NEW siding, New light fixtures, New laundry rm, New FULL Bath! All appliances stay as gift to buyers~washer & dryer too! Town water & Town sewer! Spacious pavered patio for your outdoor pleasure! 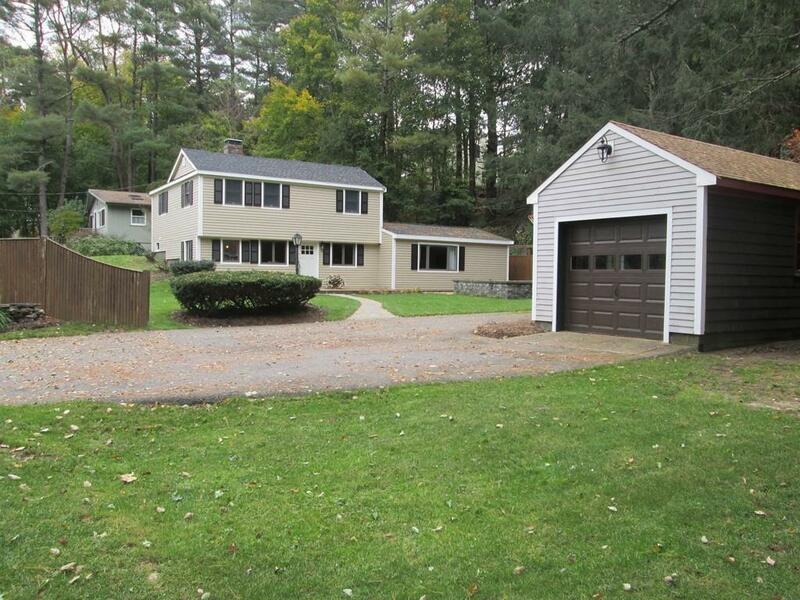 Detached 1 car garage in addition to a work shed & storage. Plenty of room for a turnaround driveway! Great location w/minutes to hwy, commuter train, shopping, beach, park, schools!